Safely transport your DJI Spark and accessories with the Spark Fly More Combo with Waterproof Case Kit from B&H. 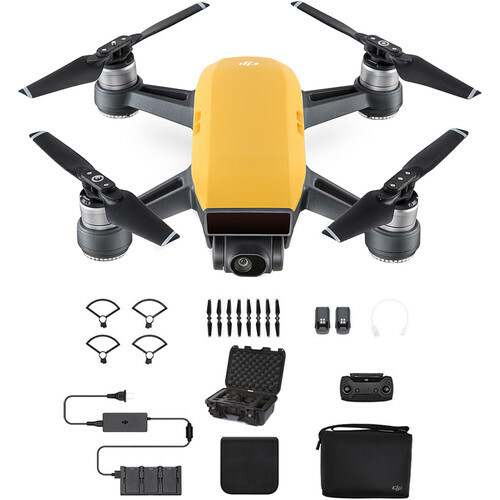 This kit includes the DJI Fly More Combo, which consists of a Sunrise Yellow Spark quadcopter with the Remote Controller, charging hub and hub power supply, a set of spare propellers, propeller guards, and a spare flight battery (for a total of two). It also includes the Nanuk 915 Waterproof Hard Case, which can safely store all the items in the Fly More Combo and keep them safe and secure during transport. Spark Fly More Combo with Waterproof Case Kit (Sunrise Yellow) is rated 5.0 out of 5 by 1. Rated 5 out of 5 by Driver3 from Smooth Flyer Easy to fly smoothly. Nice videos. Great for a beginner. Everything in this kit is top notch. 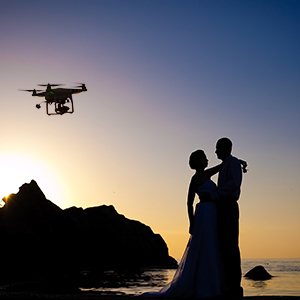 For those that have used this drone, can I have opinions of the photo image quality? Image quality is awesome. Image stabilization is fantastic as well. Image quality has improved with each SW upgrade and panoramic mode is great as well. I have used. It snow skiing, hiking, boating, and on the beach for wind surfing. Usted puede comprar servicio de extra garanta con plaza comercial si usted compr su drone en B &amp; H. Si usted compr directamente de DJI tambin venden contrato de servicio adicional para la cobertura de 1 o 2 aos. Cubre todos los elementos asociados con el drone. Does this Drone have a return home button? Also what about obstacle avoidance? Hey Rene. Yes, the DJI Spark has the ability to automatically or manually return to the point of takeoff. 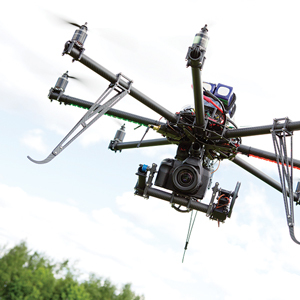 It also has a forward facing obstacle avoidance sensor to avoid obstacles in normal flight and also situations like return-to-home.